Ever since Alfa Romeo made its triumphant return to the United States, drivers across the country have chosen the Alfa Romeo Giulia for its seductive style, potent performance, and cutting-edge technology features. While competition remains fierce among the small luxury sedan segment, you may have found yourself torn between the Giulia and some of its biggest rivals. To help simplify your decision, Alfa Romeo Louisville has assembled this useful comparison guide which gives you an in-depth look at how the Giulia measures up against its top competition including the Lexus IS, Infiniti Q50, and Mercedes-Benz C-Class. In our first matchup, we’ll take a look at equivalent base trims equipped with all-wheel drive. The Alfa Romeo Giulia begins with a $465 price advantage over the Lexus IS 300. When it comes to performance, the Giulia outperforms the IS 300 in both horsepower and torque. A more-sophisticated 8-speed automatic transmission also gives the Giulia better response and contributes to its superior fuel efficiency. Speaking of efficiency, the Giulia tops the IS 300 across all three MPG categories. Choosing Alfa Romeo means you’ll get more thrills on your daily drive while spending less time and money at the pump. Shifting our attention towards convenience and interior features, the Giulia continues to shine. You’ll enjoy standard rain-sensing windshield wipers for added visibility in harsh weather conditions along with standard ParkSense Rear parking sensors to take the guesswork out of parallel parking. Each of these useful features are costly options at Lexus. The Giulia offers genuine leather seating surfaces compared to the synthetic NuLuxe Leatherette found inside the IS 300. Its rear seat also offers a 40/20/40 split folding configuration for greater cargo and passenger-carrying versatility. The interior of the Giulia also offers 5 more cubic feet than the Lexus IS 300, highlighting its generous interior dimensions. Our second challenger to go up against the Alfa Romeo Giulia is the Infiniti Q50. Although the Infiniti enjoys a slight price advantage, both vehicles are priced virtually identically. As we saw in the prior comparison, the competition simply cannot compete with the performance found on the Giulia. It offers 280 horsepower, 306 lb ft of torque, and a more advanced 8-speed automatic transmission. All this power doesn’t have to mean sacrificing on fuel economy. Across city, highway, and combined MPG ratings — the Giulia proves to be the superior choice. The Giulia also offers a turning radius which is one foot smaller than the Q50, making it easier to maneuver in or out of a tight space. When parking, standard ParkSense Rear parking sensors provides added confidence. You’ll be required to pay extra to receive parking sensors on the Infiniti. Comparing the interiors of both of these luxury sedans also reveals a few key differences. First, the Giulia offers a greater number of speakers in its audio system for an improved listening experience. Choosing Alfa Romeo also means that you’ll receive genuine leather seats, a 40/20/40 split folding rear seat, and power 4-way lumbar support for both the driver and front passenger. All three are features that the Infiniti Q50 can’t match. The third and final rival to take on the Alfa Romeo Giulia Ti is the Mercedes-Benz C 300 4MATIC. While the starting MSRP for both vehicles are nearly the same, comparing the performance capabilities of both reveal a noticeable difference. Driving a Giulia Ti means that you can enjoy a 39 horsepower advantage along with 33 lb feet of additional torque.Standard 18-inch alloy wheels also give the Giulia Ti a confident stance whether in-motion or at a standstill. While the C 300 comes standard with halogen headlamps, Alfa Romeo equips the Giulia Ti with bi-xenon high intensity discharge (HID) headlamps for superior visibility and clarity. The proximity key on the Alfa Romeo Giulia Ti gives drivers push button start along with keyless entry doors for quick access. Mercedes-Benz only offers push button start. Standard ParkSense Rear provides peace of mind by alerting you to objects and obstacles behind your Giulia Ti. Again, this is an added-cost option on the C-Class. Other premium amenities found inside the Alfa Romeo Giulia include heated seats, a heated steering wheel, 8-speaker sound system, and voice-activated audio controls. All three will cost you extra on the Mercedes-Benz C 300. Now that we’ve reached the conclusion of this comparison and tallied the results, it’s clear that the Alfa Romeo Giulia remains the best choice for buyers searching for a small luxury sedan. Lexus, Infiniti, and Mercedes-Benz prove to be no match for the impressive performance, exceptional value, and premium standard features found on the Alfa Romeo Giulia. 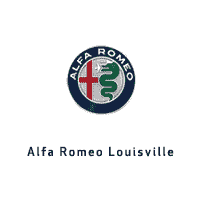 Alfa Romeo Louisville welcomes you to come experience all that the Giulia has to offer.